As the mother of all instruments, pianos surpass all others in the hearts of true music lovers. The rich sounds of the piano bring incomparable pleasure to the player, and to his or her audience. No matter what type of music you love, your favorite songs sound better on the piano. Embrace the instrument made for music lovers. 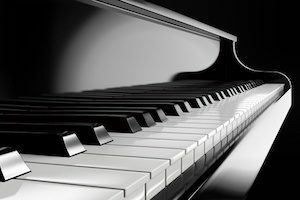 Ever wonder why the piano is an outstanding instrument toward which people of all ages gravitate? We have the answer. In fact, we have a complete list of the top reasons the piano is the best instrument for music lovers. Pianos cover all 88 notes of the musical scale, unlike other instruments, offering an incredible, unparalleled range. Pianos go higher and lower in frequency than any other instrument. All other instruments are a subset of the piano keyboard. As such, pianos are the foundation of musical instruments in general and make an excellent starting point for any budding musician. The piano teaches both treble and bass clef while most instruments teach only one or the other. This provides the pianist with a deeper understanding of music. The piano trains players on all four harmonic parts of music. Most instruments only allow playing of one note at a time. After learning to play the piano, all other instruments are much easier to learn to play. For this reason, many people gravitate toward piano lessons for small children. Even if one majors in voice or other instruments in college, professors usually either require or strongly suggest piano lessons for a few years in advance. Learning to play the piano teaches maximum coordination from mind to hands to feet. Such skill transfers over to other parts of life. If you have an interest in learning to play an instrument, please take the time to visit with us. We would be happy to introduce you to the enjoyment that piano playing brings. No matter what your age, it’s never too late to enjoy playing the piano. Get in touch with England Piano at 770-451-1725.